The first of our Albert Einstein facts is the most well-known: Einstein was a genius – most notably in the field of science, where he contributed much to the knowledge of the world, and in physics especially. 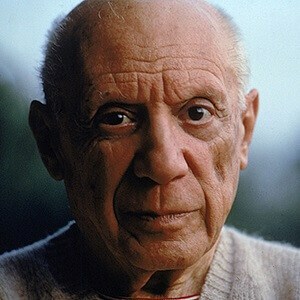 He was a great thinker in the fields of art and philosophy, as well as an accomplished violinist. He was a believer in the power of the imagination and of curiosity – he thought that by asking questions we could go further in our pursuit of knowledge. At school, firstly at Luitpold Gymnasium in Munich, then later the Swiss Federal Polytechnic School in Zurich, he struggled with the strict teaching style. He learned better by following a more relaxed approach. The next of our Albert Einstein facts reveals that behind Einstein’s research and thoughts about the world lay a quest for certainty. He believed strongly in the idea that there was an external world beyond our perceptions of it. He applied his idea that absolutes existed both to science and to moral philosophy. His goal was to discover certainty within math and science, and to attain objective morality. Einstein’s great breakthroughs in research came from visual experiments performed inside of his head. He would imagine mathematical equations as a series of images and use this method to figure out interconnections between things. His theory of relativity emerged from imagining lightning striking a train, and imagining it happening at different times as the train speeds along. He thought in music, abstract patterns and feelings, believing strongly in the power of inspiration and intuition. Albert Einstein facts show he fled to the US in 1933 after being targeted by the Nazis and labeled a ‘Jewish scientist’. His property in Germany was confiscated. The Nazis argued that he was no genius, and that his Theory of Relativity was unimportant and plagiarized. Einstein ended up at Princeton University where he did much of his later research. 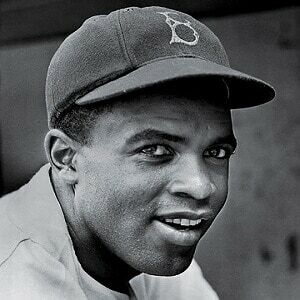 He never left the US and was eventually declared an American citizen in 1940. Einstein was an outspoken pacifist, perhaps because of his own role in the invention of, and use of, the atomic bomb. Appalled by the Hiroshima and Nagasaki attacks, he worked with the UN to curtail use of the bomb and to ensure it was only used as a deterrent. In addition, he was a great proponent of civil rights, seeing the link between treatment of the Jews in Europe and the way the African-American population were treated in the US South. Einstein was interested in energy, light, space and time and possible connections between them. He saw light as being both particles and waves. His formula E = mc2 attempts to prove that matter and energy are different manifestations of the same substance. Albert Einstein facts prove that acceleration and gravity are equivalent. His areas of investigation focused on connections between space, time and energy; wormholes; black holes; the possibility of time travel and the creation of the universe. In terms of thinking that the world is unified and that there is a link between the physical and the spiritual, Einstein’s ideas can be compared to those of some Eastern philosophies, especially Buddhism. Both Buddha and Einstein tested theories, but Einstein looked to the outside world for inspiration while Buddha looked within the mind itself. While Einstein did not believe in God, he marveled at the beauty and wonder of the structure of the world and attempted to understand it. One of our little known Albert Einstein facts is that he invented a special kind of refrigerator that uses green technology to prevent it from leaking toxic gases. It had no moving parts and used compressed gases to keep items cold. Scientists at Oxford University have reconstructed his design, as they are trying to design a fridge that uses no electricity and is environmentally friendly. Fridges are very damaging to the environment as they work by expanding and contracting man-made greenhouse gases: Freon. In addition, Einstein’s studies into theories of light are used in technology for televisions. Einstein was slow to learn to talk, had a very poor memory and was unable to remember names, dates and numbers. He found school difficult as he struggled with the pedagogical system. He also failed his entrance exam to university. His mind seemed to work in a different way to many other people – he thought in pictures and feelings. He spent a long time thinking about things: things like space and time, for example. He disliked authority and often made this obvious throughout his life. It was Einstein who first discovered the equation that shows the universe is expanding. One of our great Albert Einstein facts is that he doubted the credibility of this and thought it was a mistake until the Hubble telescope later confirmed the theory. He described it later as “my greatest blunder.” Scientists are now working on this to try to understand the geometry of the universe: dark energy seems to be counteracting gravity, which is making the universe expand. The pathologist, Thomas Harvey, who performed an autopsy on Einstein’s body, was reported to have stolen his brain and kept it for over 20 years. His brain was about 1.5 times the size of an average human brain. In fact, when he was a baby, his parents were very worried by the huge size of Einstein’s head. Harvey kept Einstein’s brain in a jar, measured and photographed it, divided it into blocks and put it on slides to examine more carefully. Later researchers found his brain had thicker than usual ridges and fibers. Einstein had an early marriage to a woman named Marić while he was still young. Before they were married, they had an illegitimate child, who was given up for adoption. Einstein and Marić divorced, and Einstein then went on to marry his cousin, Elsa, but did not give up his many ladies on the side. Einstein and Elsa had two sons together and she tolerated his infidelities. When he won the Nobel Prize, the money he made from it went to his ex-wife, Marić, in the divorce settlement. Einstein first became famous for a discovery outlined in his doctorate – where he described how particles moved in a fluid. This was known as Brownian Motion, and built on the observations of a botanist, Robert Brown. Einstein showed the particles exist, that they have a fluctuating energy that relates to the water temperature, and that collisions between particles occur randomly. He discovered a formula which could represent this. One of our more unfortunate Albert Einstein facts is that his work in physics, especially his energy calculation that E = mc2, led to the later invention of the atomic bomb. Einstein was certainly not involved in this research and regretted that his investigations into the link between energy, mass and speed had such powerful consequences. A committed pacifist, he wrote to Roosevelt in 1939, warning him that the Nazis may have discovered the bomb and that the US should accumulate their own for the possibility of retaliation. Einstein was offered the second Presidency of Israel in 1952. He was also assured that the position would leave him with the time and freedom to pursue his scientific research. Einstein declined in a polite letter of thanks, on the grounds that he was getting old and he had no real aptitude for dealing with people. He also said the position would mean that he had to assume the moral responsibility for the decisions of others, which he felt he could not do. Einstein is known for his crazy hair and slightly rumpled appearance. His image is instantly recognizable to millions of people all over the world, and is widely used in advertising and popular culture. The iconic photograph of him sticking out his tongue was taken after a photographer urged him to smile for a photo. Albert Einstein facts show that he asked for nine copies of this picture; one of these, which was signed, later sold at auction for $75,000. Einstein was absent minded, hated to wear socks and loved smoking a pipe. A statue, by Robert Berks, showing Einstein holding papers covered in mathematical equations, was erected in the Washington DC National Academy of Science in 1979. It is a bronze sculpture, measuring 12 feet high, and weighing about 4 tons. Below the statue is a bench featuring three quotes about truth, freedom and the beauty of the world, and a star map representing the universe. 76 years old. He muttered some final words, but the nurse who was with him didn’t speak German so these are lost in time. An autopsy was performed on his body, at which point his brain was famously removed, and he was then cremated. His ashes were scattered near a river in New Jersey. Einstein auctioned off a handwritten copy of the Theory of Relativity along with a previously unpublished paper for six million dollars in 1940 to help raise money for the war effort. Other papers of his have been sold at auction, including letters on subjects ranging from his thoughts on God, McCarthyism, the Nazis and his personal life. These various letters and papers have reached prices ranging from $30,000 to $400,000. Another scientist, Satyendra Nath Bose, had been investigating light and the properties of photons. He could not get his work published, however, until he collaborated with Einstein. Einstein took this research further, applying it to atoms and how they would behave in a gas. Einstein’s equations predicted the movement of atoms at different temperatures. He found that at very low temperatures, the atoms coalesce into a single blob like a super atom. 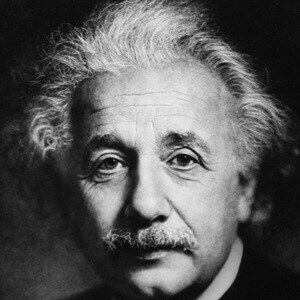 Albert Einstein facts include that he was a genius and was the best known scientist of the 20th century. He is credited with exploring the relationship between energy, matter, space and light and discovering formulas making connections between them. He is most famous for E = mc2 and the Theory of Relativity. Einstein was also a committed pacifist who worked with the UN to ensure continued peace after WWII. He believed in the power of questioning as a way to move forward in our knowledge. He was inspired by the beauty and the wonder of the world and was engaged in a quest to understand it.